Ponds...just what do we know about ponds? Before doing this study we knew some things about Ponds, but now we know a whole lot more. :) Thanks to a review we did for In the Hands of a Child and their lapbook Pond Life. Price: Normally $12, currently $5. With this unit study you will be able to teach your early elementary classroom about life in and around a pond. Ponds may be small, but they are important ecosystems that are home to many plants and animals that support one another. Make your lesson planning easy with Pond Life Curriculum from In the Hands of a Child. This pack includes a 5-day Planning Guide, Related Reading List, 11 Hands-On Activities PLUS 1 Fun Extension Activity, and a 7-page Research Guide. Students will be introduced to how ponds form, how ponds are different from lakes, pond areas, plants and animals that live in pond areas, pond dipping, and more! On the way up to camping I took the time (since it was an eight hour van ride) to read the text for "Pond Life". This gave us a good foundation to talk about the ponds that we saw while we were camping. :) It was easy to see and talk about the animals and plants you could find a various levels of the small ponds that surrounded us and then compare them to the lakes we saw. We had a couple of rainy days so we used those to work on the lapbook. I had put the lapbook on my tablet for ease of references and had printed out all the activities before we left. We had lots of small pieces of paper to help us light our campfire. :) I did not print out all 70 pages, only the ones with the activities on that we were going to complete. small pond. the lad is just about to try scooping up a frog. he ended up making a frog living area, it held 14 frogs. He caught about 18 frogs all together. He worked hard trying to catch a big bullfrog but that one was just too smart for him to manage. I appreciated having this study to do, especially to read on my tablet on the way up. It gave me good words to use with my lad as we walked around enjoying the bounty of God's creation. Was he always interested? not really...frogs are much more exciting than examining the environment that they live in, but when it came to building a frog habitat it came it quite useful. "Mom, frogs need plants the stick out right?" "Mom, frogs like water that's all the same right? "Mom, frogs like plants or things they can sit on or hide under right?" And all those questions I could answer while giving him information about ponds. We enjoyed having this study right at our fingers tips to do something with. :) It was an excellent rainy day activity for us since it fit so well with where we were and what we like to do when on vacation. most of the frogs he caught were green frogs, but he managed to catch one wood frog and two other kinds of frogs which names are eluding me at the moment. He learned alot about ponds just by catching frogs. Suggestions I would have for change. 1. I personally find it easier to have lesson material, immediately combine with activity material. In the Hands of a Child puts all the activities at the end and then you need to figure out which part of the lesson material they belong with. I would rather it be connected immediately. 2. Some of the lapbook materials I had no clue how they were to be put together and could not find any instructions on how to do so. So that I would like to have a small diagram for each activity showing what it's supposed to look like when it is completed. 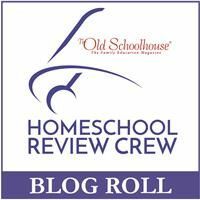 You can either click to read more reviews from the Schoolhouse Review Crew or click the banner below, whichever is more convenient for you. There were a variety of lapbooks reviewed, so it really is worth your while to check them out. In the Hands of a Child makes some GOOD lapbooks. How fun! Wow, that is a lot of frogs...my boys would have loved this! I love this, and what a great way to incorporate the study into real life learning! How fun is this! !